If a youth committed a crime against you, would you take the opportunity to sit down with that youth to talk about why they did it, how it impacted your life, and negotiate amends? For the last two years, Polly Davis has been betting there’s a growing number of people who would as she helped lead the crafting of King County’s Restorative Mediation pilot program, which is now ready to take on its first cases. 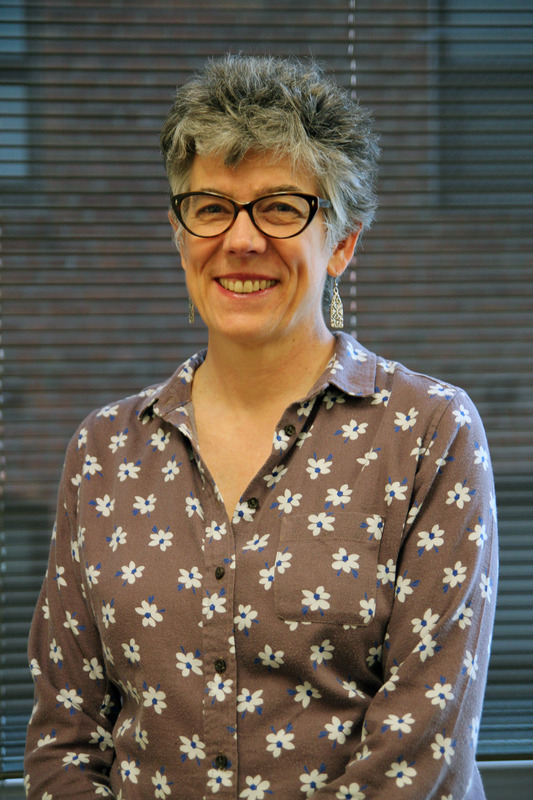 Davis, assistant program manager and mediator for King County’s Alternative Dispute Resolution (ADR) office, is no stranger to victim-offender reconciliation methods, which she’s used for over 25 years. But the popularity and success of one of those methods, restorative justice, has grown internationally in recent years. Restorative justice sessions are led by mediators who help offenders understand the full impacts of their actions directly from victims and find the community-based support they need to stay out of the criminal justice system in the future. The County’s Restorative Mediation pilot, which Davis closely coordinated with the Prosecuting Attorney’s Office and King County Superior Court to develop, includes youth co-mediators from another restorative justice program Davis has helped develop at Garfield High School in Seattle’s Central District. We asked her about the Restorative Mediation pilot and where she thinks the program is headed. KCYJ: What does the program need right now to thrive? Davis: We need more people to get the word out and refer cases to the program. We may need to do more one-on-one outreach because some are unsure of how it works and don’t trust it yet. Some public defenders are concerned the session could be used as a fact-finding mission against their client. We’re doing our best to build trust with them by meeting and explaining the processes that ensure confidentiality in the mediation sessions. Some people think that this kind of thing is an easy way out for kids, but it’s not. It’s not easy to sit down with someone and take responsibility for how you’ve hurt them. For victims, it can be like, “Why would I want to meet with that kid? How do I know I’ll be safe?” The cases we’re looking at now don’t involve crimes of violence, but those are still concerns that need to be addressed. We have to make sure each party is ready to “do no harm.” A lot of assessment goes on beforehand so it’s a safe and productive experience for everyone. The PAO is open to using proxies for victims if youth are interested in the program, but the victim doesn’t want to physically be there. On the other hand, by participating, you get to ask that kid a lot of things you’re not able to in court—there can be closure and healing around that. KCYJ: What’s the most exciting thing to you about this pilot program? Davis: The empowerment that people have when they’re able to sit down with someone else to learn and hear the backstory, then find a solution that works for both sides. I’ve seen how the tension drops when a victim finds out how random the event was, or how sad a teen is when they find out more about the impact of what they did—the problems at hand become more real for both sides. Some people come from some tough circumstances. KCYJ: How does a youth’s community contribute to a restorative justice mediation? Davis: We’ll invite a member of their community in these mediations and they’ll be able to support as well. They can speak to the impact the youth can have on their community and ask, “What can we do to rebuild a web that supports us all?” They would also be able to provide resources through representatives of programs. They could be someone from El Centro de la Raza, or the Horn of Africa Services, a social worker—someone who can help advocate for them. KCYJ: Why is it important for youth, such as the Garfield High School restorative justice mediators, to learn and participate in these sessions? Davis: We have a program with youth co-mediators so that it’s not just one kid in a room with a bunch of adults. There’s another kid, who maybe knows the urban dictionary better than the adults, to help understand them. In addition to this being an incredible leadership opportunity for the kids at Garfield and other local high schools, youth co-mediators help that other youth be seen in a different way. They can say, here’s someone who’s going to help me tell my story. The leadership piece is incredibly stimulating. One student asked me, “Is this going to end the school to prison pipeline?” They’re just like, “Wow, I see how I can have this impact on my community.” It’s been exciting seeing their enthusiasm and promotion of this work. KCYJ: Who are you working with to help grow this program in the future? Davis: This concept has really been championed by Judge Wesley Saint Clair. He’s been calling it transformative justice because of the impacts it has both on the victims and offenders. Here in King County, much of what we’re doing through the juvenile justice system is not working, and this program is helping to implement the change that people want to see. So Judge Saint Clair said, let’s do things differently, and now we’ve done the training to start doing things differently. We have also had been incredible support within the community, from Garfield High School and Juvenile Court Services staff, so there is a lot being done, and a lot more to do!